Smiles On The Upper Westside provides a full line of cosmetic dental services in NYC. Call 212-222-5225 to schedule your first appointment. Our office specializes in cosmetic dentistry. Not only do we pay strict attention to your oral health and the functionality of your teeth, but we also focus on the aesthetics of your smile. We know that a beautiful smile is vital to self-confidence. We combine our expertise and experience with advanced technology and, above all, a patient-focused dedication to listening and gathering information about your needs and desires. Our goal is to help you visualize and describe, and then obtain, the smile of your dreams. Depending on your needs and goals, as well as the current condition of your teeth, we may use one procedure or several to transform your smile. If you have healthy but discolored teeth, professional teeth whitening is easy and effective. Pitting and deep staining may require a different treatment, such as veneers, but most people simply need to decide whether they prefer in-office or at-home whitening. In-Office Bleaching: In this one-hour procedure, we will protect your gums with a gel or rubber shield, and then apply a bleaching agent that contains carbamide peroxide to your teeth and use a laser light to enhance its effects. This will lighten your teeth by 3 to 4 shades, and you can continue the process with at-home bleaching if desired. 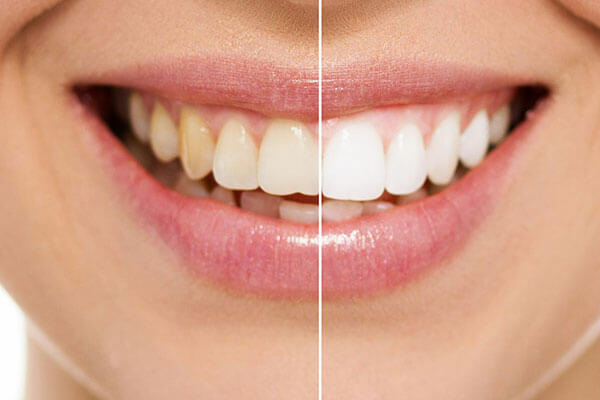 At-Home Bleaching: You can whiten your teeth at home instead of or in addition to in-office bleaching. We will take impressions to create a personalized mouth tray. Just add the carbamide peroxide-based whitening gel to the tray and wear it as directed. Whitening typically takes 6 days at home, or 3 days if it follows in-office bleaching. 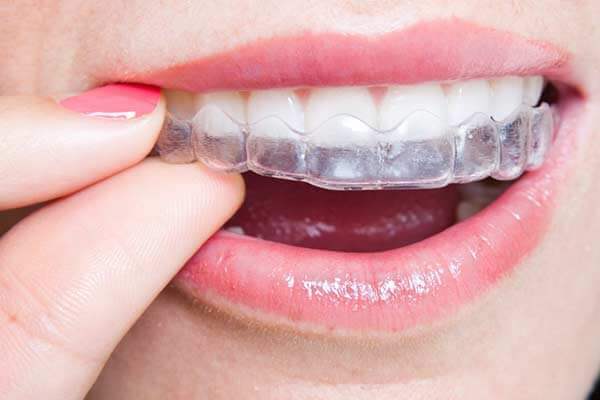 Invisalign is the thoroughly modern way to straighten your teeth. You will use a smooth, comfortable, nearly invisible series of medical grade aligners to gently shift your teeth into place. With no metal brackets or wires to adjust, you simply switch aligners at home every two weeks or as directed. You will need to see us for monitoring just once every four to six weeks. Since the aligners are removable, there is no need to give up your favorite foods or learn a whole new hygiene routine. Best of all, no one needs to know that you are straightening your teeth. 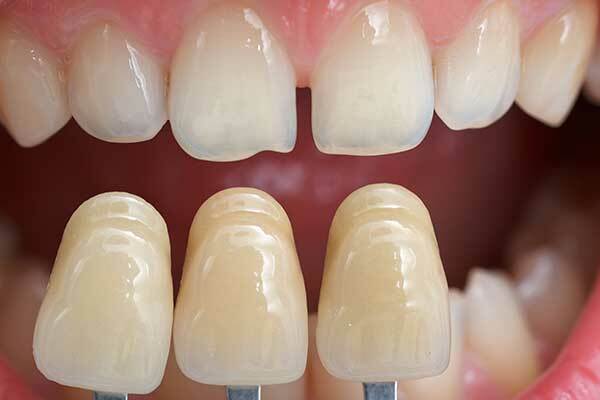 Thin shells of highly aesthetic dental porcelain, porcelain veneers are a wonderful way to cover gaps, chips, deep stains, and other cosmetic issues with your teeth. 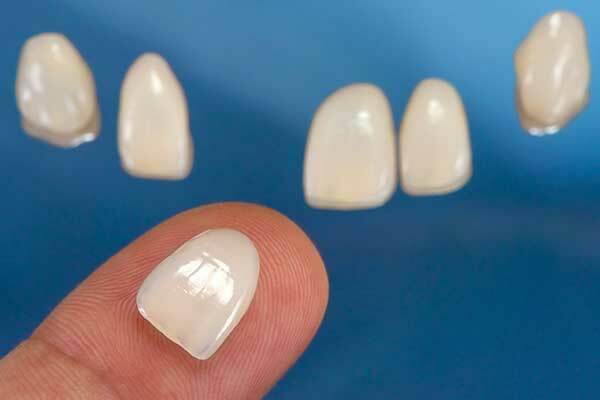 Porcelain veneers are strong and durable, and they are not prone to staining. You might want to have your natural teeth whitened first, and then color match your veneers to your brighter natural smile. Less expensive but less durable than porcelain veneers, cosmetic bonding can improve the appearance of your teeth in just one visit. We will carefully apply the composite material to your teeth and then shape it by hand before hardening it with a specialized light. This can adjust the shape, the size, and even the color of your teeth. Microabrasion removes a very thin layer of tooth enamel. This can be an excellent way to remove stains, yellowing, and dark spots that are not responsive to whitening.